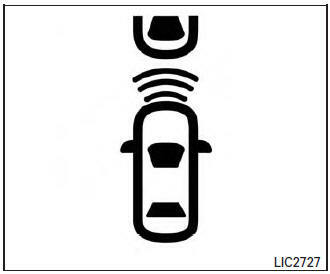 The Forward Collision Warning (FCW) system will warn the driver by flashing the FCW indicator light and providing a warning chime when your vehicle is getting close to the vehicle ahead in the traveling lane. The FCW system will function when your vehicle is driven at speeds of approximately 10 MPH (15 km/h) and above. 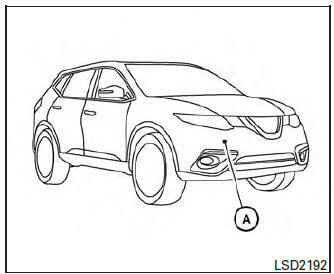 The FCW system uses the distance sensor A located behind the front bumper to measure the distance to the vehicle ahead. When the system judges that your vehicle is getting close to the vehicle ahead in the travel lane, FCW Indicator (white) on the instrument panel flashes and a warning chime sounds. The FCW system can be turned on/off by using the settings menu on the information display. For additional information, refer to “How to enable/disable the FCW system” using the settings menu in this section.